So the dawn of a 3G iPhone approaches on June 9th as Steve Jobs is widely expected to finally unveil the company’s next-generation mobile computing device. While there has been a predictable amount of speculation including certain parties jumping the gun – Oops – about the telco for Japan, we have an interesting theory. This is an update (with a twist) to our original scoop last November, as it does build on that earlier approach. Update 4 June: It’s Official..!!! SoftBank Mobile enabled WDIG to deploy a so-called MVNO (Mobile Virtual Network Operator) in March, however if you think about it Disney Mobile is basically a branded Content play or MVCO. The lack of 3G capability was only one part of the puzzle to launching an iPhone in Japan, the revenue share for ODM’s here would also be very ‘difficult’ considering the operator’s relationship with all of the other handset makers. So, we’ll go out on the limb, once more, to suggest that in fact it will be SoftBank Mobile and just maybe the work-around will see Apple Inc. launching its own itunes music and video MVCO platform! Of course there are several logical reasons for going with SBM, not the least of which would be easier roaming on their W-CDMA (3GPP) network. It was noted many times during the Vodafone era here that the company, now SoftBank Mobile, had significant capacity to resell thanks to a quirk in the way spectrum was allocated (all three main carriers split equal thirds, regardless of their user base). 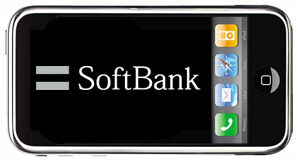 While it could well be that SoftBank Mobile will be the actual front-end, with no separate Apple-branded offering a la Disney, it would seem beyond any reasonable doubt now that DoCoMo will not be the lucky winner after all. Thankfully the news will finally be public in weeks (not months) and we can all look forward to the next round of ‘discussion’ such as, will the new version be Flash enabled, what about m-commerce and GPS, or while 16GB of storage is cool, 8GB with double the battery life would be better. At any rate, we look forward to launch day on the Ginza. Check our time-stamp and remember you heard it here 1st..